We've got breaking news on Hurricane Earl, which is tracking toward North Carolina today as a massive category four storm. Several communities are facing mandatory evacuations. Earl is threatening Labor Day weekend plans from the Carolinas to Maine. There's also breaking news out of Maryland where authorities continue to search the headquarters of the Discovery Channel, looking for possible explosives. That's after a gunman took hostage. Police shot and killed the man. 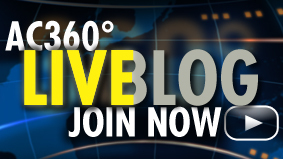 We'll have the latest developments. 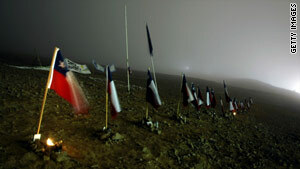 The row of national flags outside the mine represent the 33 trapped miners in Copiapo. (CNN) - The health of 33 trapped Chilean miners is authorities' top priority as crews this week began drilling in an effort to free them. The men have been trapped 2,300 feet underground since a rockslide cut off their exit route on August 5. Drillers could take three to four months to reach the subterranean chamber, Chilean authorities have estimated. Humans can survive in extreme environments, such as the 540-square-foot space the men share. But this kind of prolonged confinement with darkness, crowding and lack of sanitation can take a heavy physical toll. Despite such adversity, humans are remarkably resilient and adaptable, health experts said. (CNN) - Three hostages were rescued from the headquarters of the Discovery Channel in Silver Spring, Maryland, Wednesday afternoon after police shot and killed the man who was holding them, officials said. The hostages were unharmed, Police Chief J. Thomas Manger of the Montgomery County Police Department said. The suspect, identified by a law enforcement official as James Lee, earlier was in communication with authorities. A number of devices in backpacks that Lee held have to be rendered safe, Manger added. Candi Cushman, Education Analyst for Focus on the Family Action, is speaking out about anti-bullying efforts in American schools. "After all," Cushman writes in an online article, "gay activists realize that if they can capture the hearts and minds of the next generation, they will, for all practical purposes, have won the culture war. Problem is, they still find their agenda being blocked by a formidable force — parents and people of faith who don’t want their taxpayer-funded schools transformed into indoctrination centers. "So they have latched onto a more subtle tactic — infiltrating classrooms under the cover of 'anti-bullying' or 'safe schools' initiatives." When should I start talking to you about the impact of technology on your daughter’s world? After a lot of debate (i.e., should it be in the gossip section, the talking-behind-your-back section, the flirting section? ), I finally realized that the best place to put it is right here, at the beginning. Because to truly understand a girl growing up in today’s world, you have to have a basic comprehension of the technology she uses to connect and live in it. After this 101 course, you’ll have the keys to unlock the confusing electronic and digital issues that crop up throughout the rest of this book and in your daughter’s everyday life. 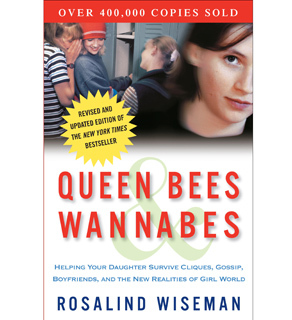 It amazes me how much technology has changed my work since I first wrote Queen Bees. Google, Facebook, YouTube, and ten-year-olds with cell phones didn’t exist. The only things my students used to communicate with each other were e-mails. 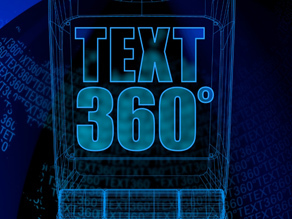 Now e-mail is the most antiquated form of virtual communication they use. Every day children and teens contact me through various social networking sites. It is part of every presentation I do in almost every class. It enables me to reach children and help them in a way that was impossible a decade ago. But no matter what your age, it can also be used as a weapon of mass destruction. 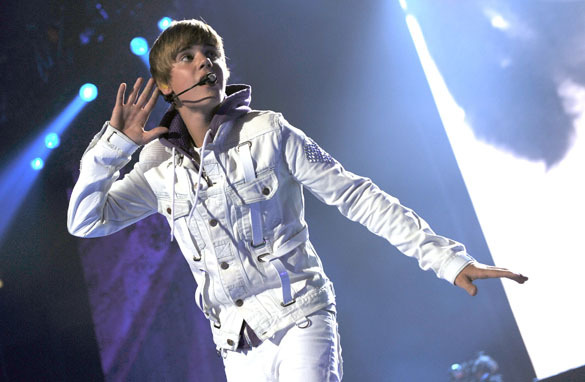 "Much to the chagrin of his choreographer, Justin Bieber busts out 'the sprinkler' dance move." "This is one small step for Boy, one large step for..."
(MayoClinic.com) Bullying was once considered a childhood rite of passage. Today, however, bullying is recognized as a serious problem. Up to half of all children are bullied at some point during their school years, according to the American Academy of Child and Adolescent Psychiatry. And thanks to tech-savvy kids, cyberbullying and other forms of electronic harassment are now commonplace. To help your child handle school bullying, learn to recognize it — and know how to respond. * Physical bullying includes hitting, punching, kicking and other types of physical harm, as well as destruction of a child's property. * Verbal bullying includes teasing, name-calling, taunting and racial slurs, as well as spreading gossip or malicious rumors. * Cyberbullying includes harassing emails, instant messages and text messages, as well as intimidating or threatening websites, blogs or posts. (CNN) - The man believed to be holding at least one hostage at the Discovery Channel headquarters in Silver Spring, Maryland, has been identified as James Lee, a law enforcement source tells CNN. Lee is an environmental protester who has been publishing criticisms of the network, according to a senior law enforcement official close to the investigation. An angry manifesto posted on a website called SaveThePlanetProtest.com repeatedly refers to humans as "filth" and demands that the Discovery Channel "stop encouraging the birth of any more parasitic human infants." 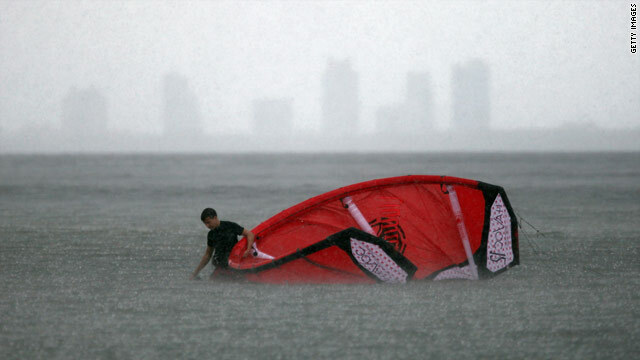 This kite surfer in Miami, Florida, encountered heavy rain as Hurricane Earl approached the East Coast. (CNN) - The menace of Hurricane Earl comes at a bad time for any of the vacation-starved Americans who are heading to parts of the East Coast this Labor Day weekend. Visions of a worry-free last holiday break of the summer have given way to concerns about powerful winds and relentless rain, at least through Friday. "It's terrible timing for Labor Day," said CNN meteorologist Angela Fritz. "It's not going to be nice vacation weather anywhere from South Carolina up through Maine." Hurricane warnings and watches were issued for portions of the North Carolina and Virginia coastlines Wednesday as forecasters warned Category 3 Hurricane Earl will be approaching the East Coast by late Thursday. Preliminary data from an Air Force plane showed Earl could be restrengthening and may grow into a Category 4 hurricane later Wednesday, the National Hurricane Center said. CNN Meteorologist Chad Myers delivers the full forecast tonight. But what questions do you have?